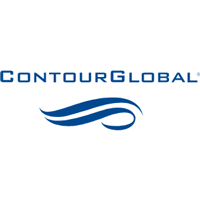 ContourGlobal plc (LON:GLO) today announced that it has reached an agreement to sell a 49% interest in the company’s 250 MW Concentrated Solar Power facilities in the southwest of Spain to a fund advised by Credit Suisse Energy Infrastructure Partners AG. The total consideration payable for the 49% stake is c. €134 million to be paid in cash. This represents a premium of c. €65 million to ContourGlobal’s proportionate net investment in the 49% stake of c.€69 million. Completion of the transaction is expected to occur in one or more closings subject to the satisfaction of various customary closing conditions which are expected to be fulfilled by the end of the second quarter of 2019. As part of the agreement, ContourGlobal will continue to manage, operate and maintain the five assets. Business performance has been good despite renewable resources performing below plan in certain markets. We remain comfortable with the indicated guidance range for 2018 of Adjusted EBITDA of $600-630 million on a constant currency basis. As at 30 September the financial metrics specified under our corporate bond indenture are a Non-Guarantor Leverage Ratio of 3.8x and a Debt Service Coverage Ratio of 7.6x. The company expects its net debt to Adjusted EBITDA ratio to be approximately 4.5x as of 31 December. “We are very pleased to expand our partnership with CSEIP in Europe with our second sale of minority interests this year. CSEIP is a committed long-term partner and leading investor in the infrastructure field, combining deep industry expertise with unique sourcing and distribution capabilities. We look forward to extending our partnership into new markets. Developed and commissioned between 2009 and 2012, the CSP assets comprise five independent 50MW solar plants located in southwest Spain, producing clean energy equivalent to the electricity demand of around 161,000 homes. Acquired from Acciona in May 2018, the plants have an average remaining regulated lifetime of 18 years and are regulated under the Spanish renewable remuneration scheme, guaranteeing long-term stable and regulated cash-flows. The value of the gross assets attributable to the CSP assets was €1.1 billion as at 30 June 2018 and EBITDA and profit before tax (unaudited) attributable to the Facilities were €110 million and €26 million respectively for the year ended 31 December 2017, in each case on a 100% basis. Click GLO for the full archive.